On Saturday, they rested. But early Sunday morning, the women leaped into action. Motivated by love, they gathered spices and perfumes to honor the body of Jesus. Little did they know that Sunday morning marked a new day in human history. How Should Christians Respond to Violence? What is the proper response to violence? In an increasingly violent culture, this is a question we must all ask ourselves. And as Christians, we must answer this question in a way that is not only practical but also faithful. It isn’t just a question of what “works” to reduce violent crime; it’s also a question of how God has called his people to live. In what follows, I will offer my own convictions, though I readily admit that fellow Christians will differ in their responses to this sensitive subject. I can think of no better place to start—for this or any other issue—than with Jesus. So let’s begin by considering what he has to say on the subject. When asked about the greatest commandment in the Law, Jesus replied, “You shall love the Lord your God with all your heart and with all your soul and with all your mind. This is the great and first commandment. And a second is like it: You shall love your neighbor as yourself. On these two commandments depend all the Law and the Prophets” (Matthew 22:37–40). Jesus does something radical here. He doesn’t simply list the most important commands—he reframes the entire Law in the light of one basic mandate: love. Love is the reason for every command God has given. This concept is so important that all three Synoptic Gospels include a similar account (see Mark 12:28ff and Luke 10:25ff), and in the Gospel of John, Jesus narrows it down to just the second half. “This is my commandment: that you love one another just as I have loved you. No one has greater love than this: that someone lay down his life for his friends” (John 15:12–13). Jesus essentially says that love of neighbor (or “one another” or “friends”) is how you show love to God, and he defines that love as sacrificing yourself for the sake of others. This echoes what he said in the parable of the sheep and goats, “as you did it to one of the least of these my brothers, you did it to me” (Matthew 25:40). And such love of God via love of neighbor fulfils the Law, as Paul and James would later confirm (see Romans 13:8–10, Galatians 5:14, and James 2:8). But “who is my neighbor?” This question was posed to Jesus in Luke’s account cited above. Jesus responded with a parable. And in this parable—we call it “the good Samaritan”—Jesus cast the most unlikely of characters for the role of neighbor. Jews hated Samaritans. They viewed them as the lowest of the low. Yet this is who Jesus said to love. When Jesus spoke of those who force you to go a mile, he was referring to the Roman soldiers occupying Israel. These violent men were known for executing Jews at random, just to show off their power and keep their subjects in line. Yet these are the kinds of people Jesus said we must love—evil people intent on harming us. In Luke’s parallel account, Jesus further explains how to love our enemies, “. . . do good to those who hate you, bless those who curse you, pray for those who abuse you” (Luke 6:27–28). And when we do this, “. . . you will be sons of the Most High, for he is kind to the ungrateful and the evil. Be merciful, even as your Father is merciful” (Luke 6:35–36). Having seen the importance of Jesus’ mandate to love everyone—including those who would do us harm—we’ll now look at how Jesus lived this principle in his own life. John tells us that “whoever says he abides in him ought to walk in the same way in which he walked” (1 John 2:6). So we must consider how Jesus responded to violence, for we ought to respond in the same way. To that end, let’s examine the most violent episode in Jesus’ life—his arrest and crucifixion. Shortly before his arrest, Jesus told his disciples, “Let the one who has no sword sell his cloak and buy one” (Luke 22:36). Why did Jesus say this? Was he preparing them to defend themselves? Not quite. Jesus explained, “For I tell you that this Scripture must be fulfilled in me: ‘And he was numbered with the transgressors.’ For what is written about me has its fulfillment” (Luke 22:37). The disciples said, “Look, Lord, here are two swords,” to which Jesus responded, “It is enough” (Luke 22:38). Enough for what? Two swords would hardly have provided sufficient defense against “a great crowd with swords and clubs” (Matthew 26:47), but they were enough to fulfil the Scripture. Alternatively, many translations (CEB, CEV, HCSB, ISV, etc.) suggest that Jesus’ response is better rendered, “Enough of that!”—indicating that the disciples had misunderstood his intent. When an armed band of soldiers came to arrest Jesus, his disciples asked, “Lord, shall we strike with the sword?” (Luke 22:49). Then Peter, failing to wait for Jesus’ response, drew his sword and struck the high priest’s servant, cutting off his right ear (John 18:10). Jesus said, “No more of this!” (Luke 22:51). “Put your sword back into its place. For all who take the sword will perish by the sword. Do you think that I cannot appeal to my Father, and he will at once send me more than twelve legions of angels? But how then should the Scriptures be fulfilled, that it must be so?” (Matthew 26:52–54). And he healed the servant’s ear. To the crowd he said, “Have you come out as against a robber, with swords and clubs to capture me? Day after day I sat in the temple teaching, and you did not seize me. But all this has taken place that the Scriptures of the prophets might be fulfilled” (Matthew 26:55–56). Jesus then allowed himself to be arrested, endured a mock trial by the Sanhedrin, and ultimately came before Pilate, who said, “Your own nation and the chief priests have delivered you over to me. What have you done?” (John 18:35). Jesus replied, “My kingdom is not of this world. If my kingdom were of this world, my servants would have been fighting, that I might not be delivered over to the Jews. But my kingdom is not from the world” (John 18:36). Jesus endured scourging, mocking, humiliation, beating, spitting—all with no attempt at retaliation. He then went to Golgotha, where he allowed himself to be crucified between two criminals. While dying on the cross at the hands of his enemies, Jesus prayed, “Father, forgive them, for they know not what they do” (Luke 23:34). 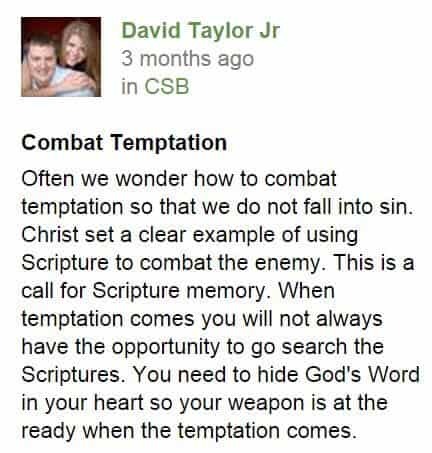 In summary, Jesus prohibited his disciples from using a sword, even in self-defense. He instead entrusted himself to the Father, enduring the suffering that followed. He made it clear that his kingdom does not follow the pattern of this world—his followers do not fight. And as his ultimate response to the violence he had suffered, Jesus forgave those responsible for his persecution. At this point, an observation should be made. Jesus had a very specific mission to accomplish. He was in the process of fulfilling Scripture and atoning for the sins of mankind. Though we may face violence, we will not do so under these same circumstances. Does this negate the idea that we should follow Jesus’ example, at least in this instance? Having now examined both Jesus’ instructions and his example, let’s consider how we can practically live this out. But didn’t Jesus say, “Do not resist the one who is evil”? That is one possible translation, but it isn’t without its difficulties. The Greek word for “resist” is anthistemi, and it often (though not always) refers specifically to violent resistance. Throughout the Old Testament, for instance, anthistemi refers to military action: Israel resists its enemy in battle, and the Canaanites weren’t able to resist Israel in the conquest. In the New Testament, other words related to anthistemi refer to violent revolts, insurrections, and war. Josephus, the first-century Jewish historian, almost always used anthistemi in ways that convey some sort of violent action. So when Jesus tells His followers not to resist evil people, He uses a word that suggests a violent resistance. Jesus offers a new sort of justice, a creative, healing, restorative justice. The old justice found in the Bible was designed to prevent revenge running away with itself. Better an eye for an eye and a tooth for a tooth than an escalating feud with each side going one worse than the other. But Jesus goes one better still. Better to have no vengeance at all, but rather a creative way forward, reflecting the astonishingly patient love of God himself, who wants Israel to shine his light into the world so that all people will see that he is the one true God, and that his deepest nature is overflowing love. No other god encourages people to behave in a way like this! So Jesus gives three hints of the sort of thing he has in mind. To be struck on the right cheek, in that world, almost certainly meant being hit with the back of the right hand. That’s not just violence, but an insult: it implies that you’re an inferior, perhaps a slave, a child, or (in that world, and sometimes even today) a woman. What’s the answer? Hitting back only keeps the evil in circulation. Offering the other cheek implies: hit me again if you like, but now as an equal, not an inferior. Or suppose you’re in a lawcourt where a powerful enemy is suing you (perhaps for non-payment of some huge debt) and wants the shirt off your back. You can’t win; but you can show him what he’s really doing. Give him your cloak as well; and, in a world where most people only wore those two garments, shame him with your impoverished nakedness. This is what the rich, powerful and careless are doing. They are reducing the poor to a state of shame. The third example clearly reflects the Roman military occupation. Roman soldiers had the right to force civilians to carry their equipment for one mile. But the law was quite strict; it forbade them to make someone go more than that. Turn the tables on them, advises Jesus. Don’t fret and fume and plot revenge. Copy your generous God! Go a second mile, and astonish the soldier (and perhaps alarm him—what if his commanding officer found out?) with the news that there is a different way to be human, a way which doesn’t plot revenge, which doesn’t join the armed resistance movement (that’s what verse 39 means), but which wins God’s kind of victory over violence and injustice. Such nonviolent resistance is risky. It makes us vulnerable. But it also exposes our aggressors’ sins for what they are. And if we believe what Jesus said—that “all who take the sword will perish by the sword” (Matthew 26:52)—then our nonviolent response is actually much safer than carrying a weapon. Wouldn’t you rather entrust yourself to the God who rules the universe than to a piece of steel? For more specific suggestions on how to respond nonviolently, along with real-life examples, check out Nonviolent Action: What Christian Ethics Demands but Most Christians Have Never Really Tried by Ron Sider. But in this violent world, there are no foolproof methods of preventing violence. When we choose to live in nonviolent love, we accept the possibility that we will “share Christ’s sufferings” (1 Peter 4:13). When that happens, we have one further response—one more way in which we follow the example Jesus left for us. It would be easy for me to speak of forgiveness when I have had no major offenses to forgive. So I’m not going to do that. Instead, I’m going to close this post by pointing you to Emanuel African Methodist Episcopal Church in Charleston, South Carolina. On June 17, 2015, Dylann Roof joined them for an evening Bible study. After initially participating with their study, he pulled out a gun, and he murdered nine people. If there was ever a case for retaliation—for responding to violence with violence—surely this would be it? But that’s not what happened. Anthony Thompson, husband of the slain Myra Thompson, echoed Lance’s daughter’s words. “I forgive you, my family forgives you,” he said. “Hate won’t win,” she concluded firmly. In Matthew 4:1–11, Jesus is led into the wilderness to be tempted by the devil. Whether you see this passage as a formula for resisting temptation, a glimpse into Jesus’ true character, or something else, there’s a lot we can learn by taking a closer look at this passage. In the third layer of FSB notes, you’ll find a link to an article on “The Temptations of Christ” by John McKinley. If you’ve joined the Community Study Bible group, your FSB experience of Matthew 4 includes insights from other believers—academics and laypeople alike. The text does not say whether the devil is in human form. The devil uses this challenge for all three temptations. He turns the words of Matthew 3:17 into a taunt. This parallels the Israelites’ failure in the desert. They complained that God did not provide enough food for them (Exodus 16:3). The devil preys upon Jesus’ hunger in an attempt to get him to misuse his power. Food for thought: If Jesus was sustained supernaturally in the desert, then the devil’s request for a sign from God in the form of food would actually undermine the very miracle that was already taking place. While as the FSB points out, that isn’t necessarily what the passage is emphasizing or implying, the devil does consistently attempt to pit the Son against the Father, since the Father has already publicly affirmed his Son (Matthew 3:17). This public setting would parallel the public baptism, during which God already publicly revealed that Jesus was the Son (Matthew 3:17). By making this test public (and probably more prominent), it is as if the devil is saying that God’s voice was not enough to verify Jesus’ divinity. Satan is trying to steal God’s thunder. When he says, “It is written,” Satan cites Scripture, “perhaps mocking Jesus’ quotation. Both lines come from Psalm 91, but are taken out of context. The original sense is that the Lord’s protection is so near and careful that his angels will not even let people hurt their feet while walking. It does not speak of the angels protecting those who make a show of jumping off buildings” (FSB). Jesus quotes Deuteronomy 6:16, “which refers to the Israelites’ testing the Lord in Exodus 17:2–7. The devil tempts Jesus to doubt the Lord’s providence like the Israelites had” (FSB). But the devil is persistent. Despite the truth of Psalm 24:1, the devil is preying on Jewish perceptions in Matthew 4:9. “By Jesus’ time, Jewish people commonly regarded the nations surrounding them as the domain of the evil one. They recognized that the earth was the Lord’s, but they believed the kingdoms of wicked rulers were in the service of the devil” (FSB). Finally, Jesus has had enough. “Jesus later says something similar to Peter (Matthew 16:23), who had been speaking against Jesus’ death and crucifixion. Peter probably hoped for the sort of worldly power the devil had offered” (FSB). “In contrast, Luke mentions that the devil departs only until a more opportune time. . . . Jesus could have simply driven the devil away; instead, he chooses to undergo the temptations. As a result, the author of the book of Hebrews writes that Jesus was tempted in all things as we are, yet is without sin (Hebrews 4:15)” (FSB). Jesus could have dismissed the devil the moment he appeared, but because he didn’t, we have a Messiah who knows what it means to be weak, tempted, and human (Hebrews 2:18). Get the free Faithlife Study Bible today, and start exploring God’s Word with three layers of study notes. Add a layer of Community Notes to your Bible study by joining the Community Study Bible group. Or, start a group of your own with people you know, and start sharing Community Notes today. Jesus taught in front of thousands of people throughout his lifetime. Wherever he went, huge crowds followed him (Mark 5:24, Mark 10:1, Matthew 4:25, Matthew 8:1, Matthew 14:13). But not everyone that Jesus taught continued to follow him. Not everyone that followed him became his disciple. And even within his disciples, Jesus had an inner circle—the ones he invested in the most (Mark 9:2–3). Jesus was not trying to impress the crowd, but to usher in a kingdom. This meant that he needed people who could lead the multitudes. What good would it have been for his ultimate objective to arouse the masses to follow him if these people had no subsequent supervision or instruction in the Way? It had been demonstrated on numerous occasions that the crowd was an easy prey to false gods when left without proper care. . . .Thus, before the world could ever be permanently helped, people would have to be raised up who could lead the multitudes in the things of God. As humans, we can’t invest the same amount of energy into our entire church that we invest into our small groups, families, mentors, or disciples. That doesn’t mean we neglect our church, it just means that the way we pour into the 100, 1,000, or 10,000 people that we learn and grow alongside looks very different than the way we pour into those who are closest to us. Our lives naturally imitate Jesus’ circles of intimacy, because we are physical beings bound by physical constraints—we don’t have all the time in the world, and we can’t be everywhere at once. We choose who to spend the most time with and who we invest most of our lives into. Faithlife Groups are designed to imitate our real-life church structure. Within your church’s group, you can add subgroups, like your small group, your ministry team, or your accountability partners. In each of these groups, the things you share and the ways you pray for and support each other look completely different. The larger your church, the more important these intimacy circles become. Within a single church, there could be dozens of smaller groups of people that meet and share life together. Faithlife Groups lets you keep all of those groups under the umbrella of your church. Small groups and ministry teams can share prayer lists, curriculum, discussions, and announcements in privacy, while your church as a whole can share entirely separate prayer lists, discussions, newsletters, Community Notes, and more. Faithlife Groups are just one more way you can keep church from feeling like a building and extend your relationships beyond weekly handshakes. Talk to your church about using Faithlife Groups—the free church communication tool. Labor Day Sale! 20 Bible Study Resources for 30% Off! For just two more days, you can save 30% on 20 Bible study resources. Learn more about Paul, Jesus, the New Testament, or take some time to focus on your Bible study. Check out all 20 deals! If you’ve downloaded your copy of the free Faithlife Study Bible, you already have a great start on deeper Bible study. But did you know the FSB connects directly to other Logos resources in your library, too? If you have another book that focuses on a particular passage, you can read the FSB notes right alongside it. A great example is The Expanded Bible: New Testament—it’s the perfect supplement to your FSB. In each line, The Expanded Bible: New Testament incorporates the information you’d find in significant Bible reference works, so you can read the Bible and see alternate interpretations of words, phrases, or idioms right in the text. You’ve probably heard about Logos, but if you’re the kind of person who prefers to test the water first, adding The Expanded Bible: New Testament to your Faithlife Study Bible is like dipping your toe in—it shows you how incredible the pool is. For just two more days, The Expanded Bible: New Testament can be yours for just $11.95. The John MacArthur Study Library gets you 24 books, study Bibles, and Bible studies by one of America’s best-known pastors—for less than $2 per book. This library combines MacArthur’s bestselling Bible study books into one powerful collection. For over 30 years, John MacArthur has studied the Bible for 30 hours or more per week. That’s over 46,000 hours of Bible study. Who better to study the Word with? For just two more days, you can get all 24 volumes for $34.95. Check out all Labor Day sales now. Of course, to get the most out of your Logos library, you’ll want a Logos base package. The latest edition—Logos 5—can perform hundreds of hours of Bible study in seconds, accessing hundreds (or even thousands) of resources at once to pull out all the information available on a topic or passage. There are even base packages designed to fit your theological background. Pick a base package today! Take your biblical education to the next level with Back to School deals on Bible study tools. Sale ends Friday, September 12. In the information age, education is always at our finger tips. When we don’t know something, we can find multiple answers in an instant. We live in a constant state of education—we’re always learning something. The problem is, we have to choose where we get our answers. Anyone can put their thoughts on the internet, and sometimes it’s hard to determine whether or not a source can be trusted. Not everyone can afford the time and money it takes to get a biblical education at seminary. But you can get the same textbooks Bible colleges use all over the world. Right now, many of these textbooks are on sale for up to 55% off. Whether you’re in school, or you just want to learn, now is the time to grab the world’s best Bible texts. Maybe you’ve always wished you knew more about the Old Testament. You can get the Baker Commentary on the Old Testament Wisdom and Psalms for over 25% off! Or, get the Handbook on the Old Testament Series for 20% off. Reading your Bible is great, but context is key to understanding what the biblical writers really meant. Few authors have had as much influence on our understanding of the New Testament world as the Jewish historian, Flavius Josephus. His works offer an unparalleled depiction of the historical context in which Jesus and the Apostles lived and died. During Logos’ Back to School sale, you can save $90 on one of the most referenced historical works in biblical studies. Get it now. There are hundreds of great Bible study tools on sale. Or save 25% on the Zondervan Biblical Languages Collection and start studying Scripture in a whole new way. If you’re a Bible scholar, this is a sale you can’t afford to miss. If you’re not a scholar, this is the perfect time to become a better student of the Word. This sale ends on Friday, September 12. Don’t miss out—get your books now! 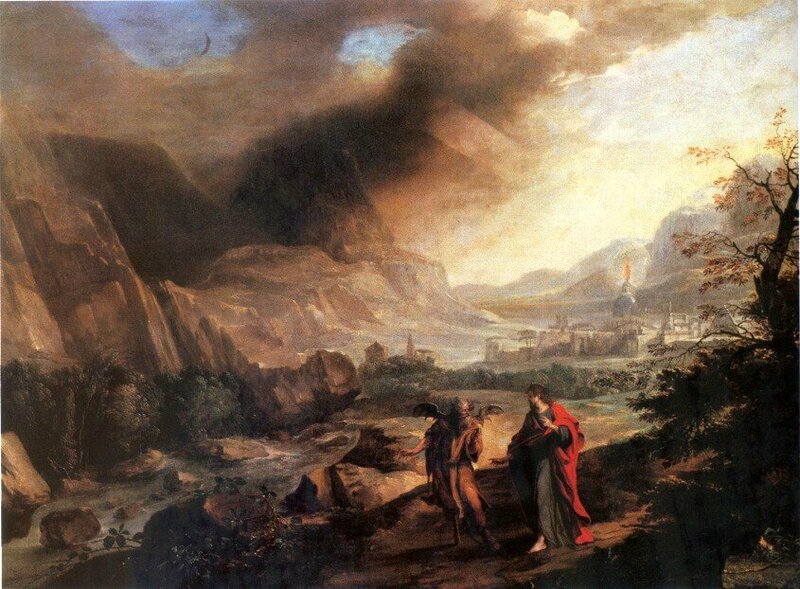 In Mark 6 (and Matthew 13), Jesus returns to Nazareth, his hometown. These people knew Jesus before he started his ministry. And on the Sabbath he began to teach in the synagogue, and many who heard him were astonished, saying, “Where did this man get these things? What is the wisdom given to him? How are such mighty works done by his hands? Is not this the carpenter, the son of Mary and brother of James and Joses and Judas and Simon? And are not his sisters here with us?” And they took offense at him (Mark 6:2–3). While the NIV says Jesus couldn’t do miracles in Nazareth, this isn’t suggesting that faith is some sort of fuel for miracles, and Jesus was running on empty. Most likely, the lack of faith meant that people didn’t ask Jesus to help them—or else, because of their lack of faith, Jesus chose not to. The bottom line is, there was no faith, so in this instance, he didn’t. After Jesus feeds the 4,000 in Decapolis, he and his disciples get into a boat and head to Dalmanutha. The Pharisees came and began to argue with him, seeking from him a sign from heaven to test him. And he sighed deeply in his spirit and said, “Why does this generation seek a sign? Truly, I say to you, no sign will be given to this generation.” And he left them, got into the boat again, and went to the other side (Mark 8:11–13). Miracles are not for our entertainment. They are not a prerequisite for faith. If all of creation testifies about its creator (Romans 1:20, Psalm 19:1), why should he have to give us a personal sign from heaven on top of that? If you ask God for a sign from heaven like the Pharisees, chances are you’ll be disappointed like the Pharisees. As Jesus hung on the Cross, his divinity was mocked. Again, people wanted to see a sign from heaven, and their requests for a miracle emerged from a severe lack of faith—they did not believe Jesus was who he said he was, and they would not believe him unless the God of the universe did what they asked, right then and there. As he hung there dying, Jesus, who was fully God, could have come down from that cross. Fully man, Jesus may have even been tempted by the prospect (Hebrews 2:18). But he didn’t come down. And those who passed by derided him, wagging their heads and saying, “Aha! You who would destroy the temple and rebuild it in three days, save yourself, and come down from the cross!” So also the chief priests with the scribes mocked him to one another, saying, “He saved others; he cannot save himself. Let the Christ, the King of Israel, come down now from the cross that we may see and believe” (Mark 15:29–32). Jesus didn’t come down because the Cross had a purpose. The miracle of his survival would have undermined the greater miracle of his resurrection. It’s easy to think about the miracles that Jesus did do. In brief interactions, he radically altered people’s lives. But his ways are higher (Isaiah 55:8–9), and because of that, the miracles Jesus didn’t do are equally important in helping us understand the inexplicable. The last week of Jesus’ ministry, often called Passion Week, was packed with action—powerful teaching, bold confrontation, intrigue, and prophecy both fulfilled and made anew. Explore it all with the free Faithlife Study Bible app. This chapter contains the most important event in human history: the resurrection of Jesus the Messiah from the dead. In fulfillment of his prediction, He conquers the grave and rises again to life. So we celebrate, once a week on Sunday and once a year on Easter, the victory that Jesus won over death, hell, and the grave. He is risen. He is risen indeed. To explore Passion Week and the rest of Scripture in a new way, download the free Faithlife Study Bible on your smartphone or tablet today. After following Jesus for three years, hearing his teaching, and witnessing his miracles, the disciples were told to go recruit. While I may never get an answer to how it felt, if I read the passage in my Faithlife Study Bible app, I get extra details not otherwise available, like this picture of Mount Tabor, where Jesus probably spoke these last words of his earthly ministry. I get even more clarity from two articles that appear in the notes: “Being Missional” by Ed Stetzer and “Baptism” by Bernie A. Van De Walle. These were the last words Jesus spoke to his followers on earth, and the Faithlife Study Bible helps us understand the context in which they were spoken. Download it free from your favorite app store, and you can start enjoying the extra details in this and many other passages.